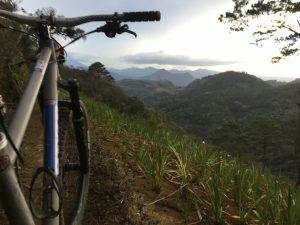 We recently took our fleet of REEB Dikyelous 29’ers down to Guatemala to see how they stack up in the steeps of what is an incredibly mountainous country. We were blown away by not only the beauty of the country but how damn good the riding was. We hubbed ourselves out of the Spanish colonial town of La Antigua, Guatemala. 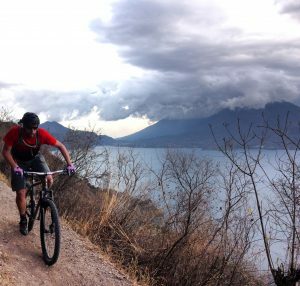 Once the Spanish crown jewel of all of modern day Central America, Antigua is now in the hot seat for mountain biking. We took our bikes down there and were shown the goods. 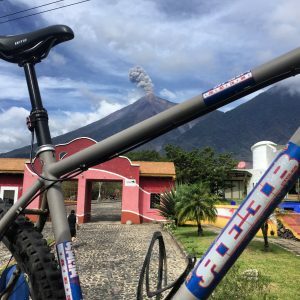 We partnered up with Bike Guatemala to guide us and provide logistical support for our trip. What they showed us was world class single-track right out of the front door of our 16th converted monastery come 5* B&B. The country is absolutely covered in trail that once connected village to village, farmer to fields and merchant to market. These old Mayan foot paths are perfect for mountain biking. 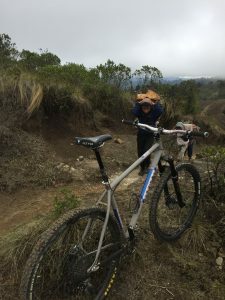 We spent a couple days riding the steep slopes and volcanoes around Antigua and taking advantage of her great restaurants and bars at night. 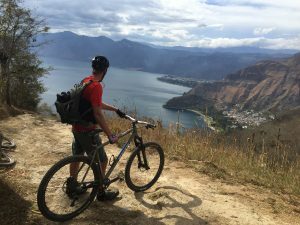 We then moved on to the REEBdikyelously beautiful Lake Atitlan who in the words of Aldous Huxley said “touches the limit of the permissibly picturesque…..it is really too much of a good thing.” The riding there proved to be just as amazing as the scenery. Rivaled only to Italy’s Lake Como or California’s Lake Tahoe. Steep technical single-track winds its way through mountains, forests and steep canyons down 3000 ft to the lakes edge. Oh, and there are no less than 5-10 such enduro runs. We did our best to ride ’em all. We stayed in B&B’s tucked on the hillside above the lake where the views, beers and swimming were endless. We headed back to Antigua for one last ride and big night out before heading back home. We were blown away by how REEBdikyelously good the riding was, how accessible it is and how varied it was. We only scratched the surface with just one week to be there. We’ll be planning another trip back down in the spring of 2018 so stay tuned for details.